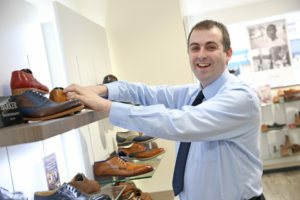 A SHOE SHOP assistant from the North East is encouraging other businesses to be more accepting of job candidates with Autistic spectrum disorders, as World Autism Awareness Week gets underway. 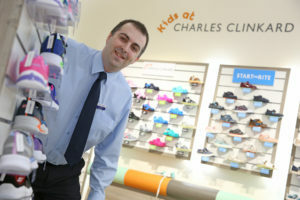 Nathan Atkinson, who works for National footwear retailer Charles Clinkard, is also speaking out about his past struggles and offering advice to others in similar situations. The 28-year-old, who has Asperger’s syndrome, has worked for the company for four years and has praised his employer for its approach to people with Autism. Autistic spectrum disorders affect people in many ways; some people find it difficult to communicate while others are highly articulate and charismatic. And for Nathan, it’s his “brutally honest” personality that has made previous roles a challenge. Nathan explained: “I was kicked out of school at 13 and have lost previous jobs as a result of my Asperger’s. It means I can lose my temper more easily than others and finding a job was always difficult. “But people with Autism or Asperger’s tend to be some of the most honest people you’ll ever meet, and they’ll also tend to be some of the most organised and neatest – because that’s how they’re programmed. Despite his struggles with past employment, Nathan found his perfect fit with the family footwear retailer and has praised his employer for working with charity Daisy Chain to train its staff and create autism-friendly environments in its stores. Nathan added: “I love the fact this company is very supportive of Autism and Asperger’s. Things like offering appointments during quieter times, turning off the lights and having sensory packs for children with autism can make a massive difference.